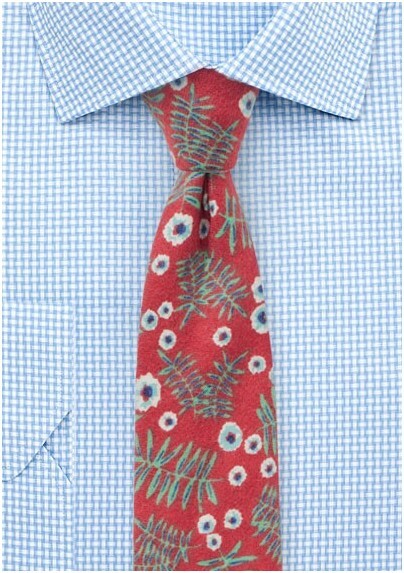 Turn heads no matter where you go the moment you show up wearing this vintage print tie in red, green, white, and blue. The vintage color palette is paired with a retro floral print on an unusual flannel fabric that is soft to the touch and gives of understated matte sheen. 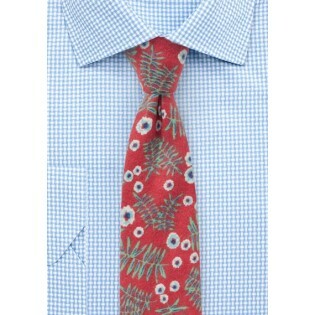 A tie especially great for the Autumn season when paired with dark navy suits or tweed blazers.